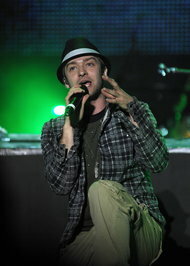 Mr. Timberlake is a minority partner in the investor group that bought Myspace for $35 million in 2011, six years after News Corporation paid $580 million for it with hopes of dominating the social Web. Before long it was eclipsed by Facebook and fell into the dustbin of the Internet. The new Myspace, which like the old MySpace lets people listen to huge numbers of songs free, has won early praise for its sleek design. But while it has said its intention is to help artists, it may already have a problem with some of the independent record labels that supply much of its content. Although Myspace boasts the biggest library in digital music — more than 50 million songs, it says — a group representing thousands of small labels says the service is using its members’ music without permission. The group, Merlin, negotiates digital deals on behalf of labels around the world. Charles Caldas, chief executive of Merlin, said in an interview on Friday that its deal with Myspace expired over a year ago, yet songs from more than 100 of its labels are still available on Myspace, including Beggars Group, Domino and Merge, three of the biggest independents. Neda Azarfar, a spokeswoman for Myspace, said the company had decided not to renew its contract with Merlin, and that if songs from its member labels were still on the site, “they were likely uploaded by users” and would be removed if requested by the label. In December, Myspace.com had 27.4 million unique visitors in the United States, according to comScore. That is far from its peak of 76 million in 2008, but for a music industry still struggling for all the business it can get, it is an audience that cannot be ignored. The industry as a whole is largely supportive of Myspace, which is now seen as an underdog facing long odds. For small labels, though, the licensing situation has brought back memories of the introduction of MySpace’s first music service, MySpace Music, in 2008, when deals were cut with the major labels but most independents were left out for more than a year. “The feeling is not good,” said William Crowley, the vice president for digital and mobile at eOne Distribution, an independent music distributor that is associated with Merlin.